The word fracture is used to describe a broken bone. 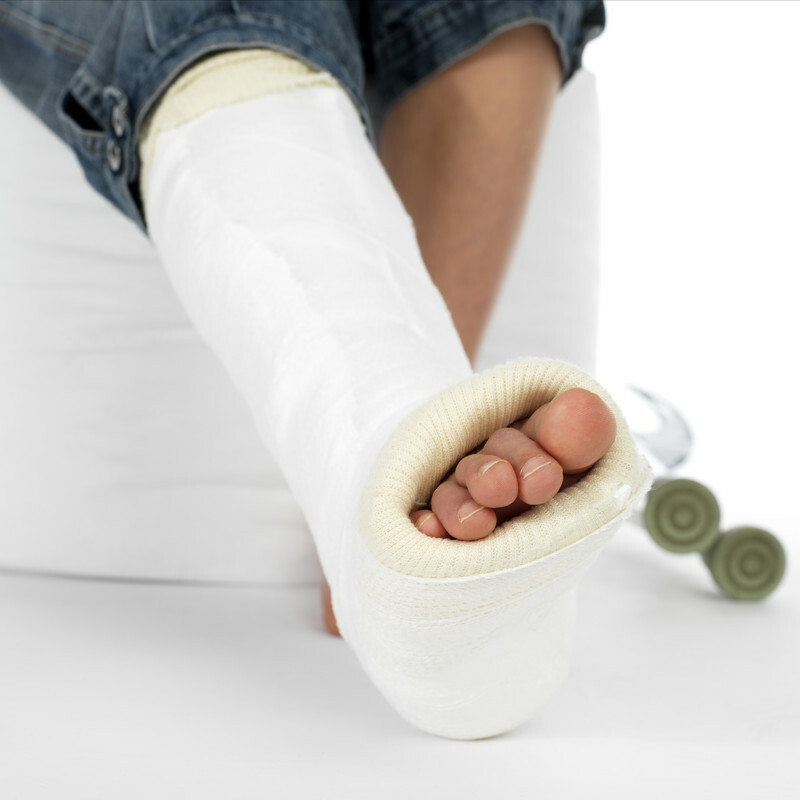 Fractures are quite common and it is said that almost everyone will suffer from a fracture at some point in life. Fractures are caused when too much physical pressure is exerted on a bone. Our bones are not flexible and it is the joints that actually allow you to bend. That said, they can bend slightly due to outside pressure but when this pressure becomes too heavy, breakage is imminent. When our bones break, they usually heal without bringing about adverse complications or significant inability to function. Fractures could also come with complications and this could be risky to the limb. Fractures unfortunately may not heal properly due to immune problem such as diabetes, older age, smoking, etc. Open, Compound Fracture: This type of fracture occurs when the blow breaks the bone and tears through the skin on impact. Sometimes the bone is visible through the wound. 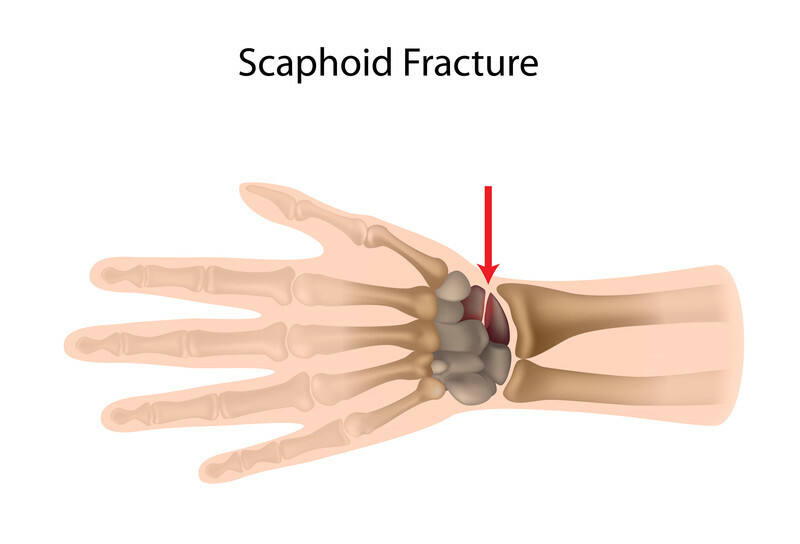 Scaphoid fractures often do not heal, and stem cell therapy may be helpful. Stable Fracture: A stable fracture occurs when the bone’s ends line up. With this fracture the bones are barely misaligned. Transverse Fracture: When a bone breaks along a horizontal axis, it is known as a transverse fracture. Comminuted Fracture: With a comminuted fracture, the bone is shattered into various pieces and there could be three or more break points. Oblique Fracture: A bone with such a fracture breaks at an angle. Impacted Fracture: An impacted fracture occurs when two bone ends knock each other out. 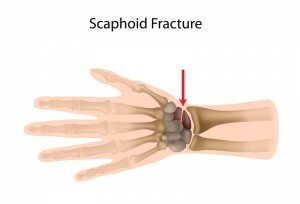 This fracture is also referred to as a buckle fracture and is most common in arms. Pathologic Fracture: A pathologic fracture is brought about by bone weakening. Diseases such as cancer and osteoporosis can lead to a pathologic fracture. Usually when people are injured they seek medical attention. However, there is a large group of people who medicate themselves and it’s not easy to know when you may have a fracture. Below are some signs of a broken bone in your body. Swelling and bruising are the first and obvious signs of a fracture. In some cases, a deformity on the injured area could occur if treatment is not sought. Pain is also an indicator of a fracture and this is usually worst when pressure is applied or when moved. Loss of function is also a major sign and generally people are not able to use the fractured bone. Open fractures are easy to recognize especially when the bone is protruding. Fractures come with complications and these are characterized as either local or systemic complications. Early local complications could include vascular injury and this could cause internal or external hemorrhage. Wound infections, visceral injury and tissue damage are some of the local complications. Early systemic complications include shock, thromboembolism, pneumonia and exacerbation of an underlying disease. Some complications occur months after the fracture has occurred and these include delayed recovery, joint stiffness, contractures, malunion and nonunion. Nonunion means it does not heal. In this case surgery may be necessary, however, stem cell therapy may help the fracture heal. Stem cell therapy can be very helpful in nonunion which are fractures that refuse to heal even after treatment. A study presented at the 93rd Annual Endocrine Society Meeting held in Boston revealed that stem cells enhanced with bone regenerative hormones could help repair broken bones that refuse to heal normally. Another study published in Molecular Therapy also showcased evidence of the effectiveness of stem cells in speeding up recovery from fractures. For those individuals facing potential surgery due to a non-healing fracture, consider stem cell therapy first. Request Appointment for Stem Cell Therapy for Fracture Healing!